A month after being nominated, Doug Vincent-Lang sent a 41-page memo to the federal Interior Department taking aim at “federal laws and regulations that govern endangered species, national wildlife refuges and marine mammals in Alaska,” the Associated Press reported. Vincent-Lang was a top fish and game official under Gov. Sean Parnell. In that role he pushed back against federal protections for endangered species including Steller sea lions and humpback whales. He spent decades with the agency and led the sportfish and wildlife conservation divisions. He admitted his resume was relatively light when it came to the state’s fisheries but said he was learning on the job. “I think I have the skills necessary to learn commercial fisheries management,” Vincent-Lang said. Critical public comments came from opponents of the state’s intensive management program that culls bears and wolves. The controversial predator control program is in an effort to conserve moose and caribou herds for hunters. Vincent-Lang defended the program which he said is run on a scientific basis. His nomination won him plaudits from several hunting and guiding groups that had worked with him as the Parnell administration’s top wildlife conservation official. “As president of a group that relies on wildlife to make our living, I can personally vouch for the fact that Mr. Vincent-Lang successfully built trust with us,” said Sam Rohrer, president of the Alaska Professional Hunters Association. Vincent-Lang was the sole nominee for Fish and Game commissioner offered by Gov. Michael Dunleavy. He was already approved by the boards of game and fisheries which regulate hunting and fishing in the state. The Monday hearing before the Senate Resources Committee is required by the confirmation process. His name is now automatically forwarded to the House and Senate which will hold a floor vote during the legislature’s joint session. 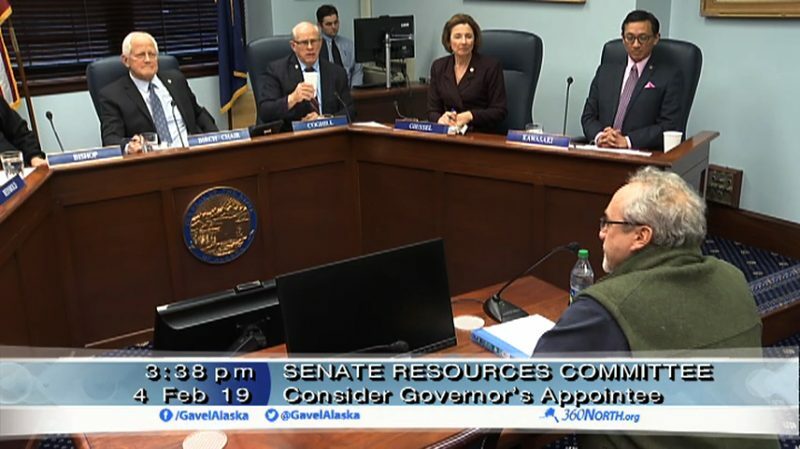 But with partisan deadlock preventing the Alaska House of Representatives from organizing a leadership caucus, it remains uncertain when such a vote could happen.